Before proceeding reading this blog I would suggest to go to the web site and solve it on your own. Suspecting that in most cases the obvious approach is not the correct one, I tried using an array of jars. The constraints and Need Help link provided a clear indication that it would time out. 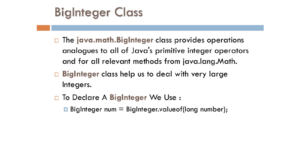 Using BigIntegers in Java helped, but the proper approach (as suggested by the Need Help link) allowed me to solve the challenge. As you can see there is no need to use an array of jars. If you have comments or questions regarding this or any other entry in this blog, please do not hesitate and send me an email. I will not disclose your name unless you explicitly allow me.